The holiday season is upon us! And it’s time for Black Friday. Needless to say, it is the most lucrative time of the year for retailers. With people gushing to buy new items for themselves and loved ones, it is an excellent opportunity for retailers to make some bucks. According to an article in abc7 News, the National Retail Federation (NRF) has projected an increase of 4.3 to 4.8 percent in 2018 over the last year which translates to about 721 billion dollars. The above data shows that the people have their shopping shoes on and the retailers can extract huge profits in this holiday season if they play their cards right. All the retailers are making an effort to raise their game and compete with each other by improving the overall customer experience. However, traditional retailers have a lot on their plate as they have to compete with online retailers as well. The online retailers plan new and improved marketing strategies each year to lure customers. These include flash sales, free delivery, surprise gifts, and more. As per RainPOS, 61% of consumers say they will not complete an online purchase during the holiday season unless they get free shipping. In addition to this, online retail also has the added convenience of shopping from home. Hence, to compete with the online retailing giants, the brick-and-mortar retailers also come up with creative ideas to offer a delightful customer experience. For instance, Walmart has introduced “Check Out With Me” feature in their stores to reduce the waiting time for customers. As a retailer, to reduce the waiting time and the resulting customer frustration that comes with it, you need an efficient POS system to process the customers’ items and receive payments swiftly. In addition to this, a POS system can also store customer information, scan barcodes, and update inventory. A POS system can include a POS software installed on a secure, and efficient platform. 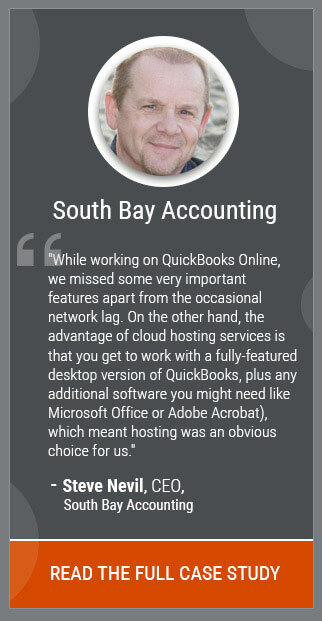 One example is the QuickBooks POS software hosted on the cloud that offers all the functions of QuickBooks POS with the robust infrastructure of the cloud. Here are some of the features of a POS system that can help you optimize your sales process and reap profits. Everyone loves when special attention is given to them. The USP of brick-and-mortar retailers is the personal connection which is lacking in online retail. When you keep in touch with the customers even when they are not buying stuff from you, it makes them feel special. You should start emailing the customers a couple of months before the holiday season informing them that you have got some special offers for them. You can also inform them of the new and exciting products waiting for them at your store. The POS system can store customer details along with the order history for future reference. 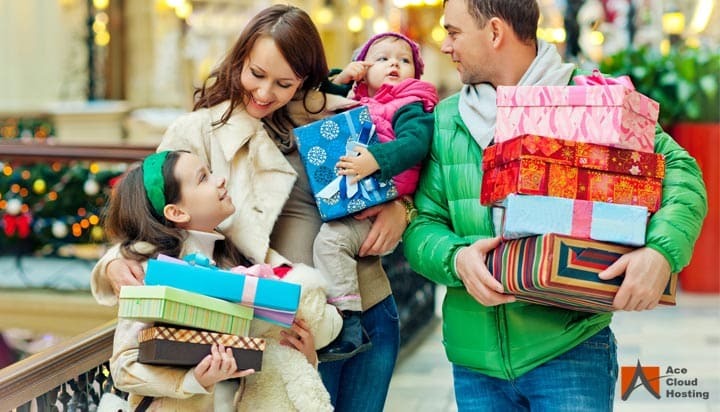 This is highly beneficial for the holiday season as you can identify the top customers and their buying trends. You can draft pre-designed emails for customers in accordance with their buying preferences. For instance, a customer that buys “Cereals” regularly from your store can be informed about the new products and discounts awaiting him/her this season. The POS system can be integrated with email add-ons to automate the process. Whether in retail or any other business, it is never good to be blindsided by a sudden influx of customers. This is generally the trend in the holiday season. The retailers that do not analyze and evaluate the customer trend in the previous year are unable to design an effective marketing strategy for the current year. Once you keep track of the number of customers filtered by their age group, buying preferences, etc. from the previous year combined with the latest trends, it is much easier to anticipate the sales this year. The data might give you an estimation, but it will help you prepare better for this season. The POS system helps you do just that! For instance, QuickBooks POS Online helps you to store unlimited data on the cloud so that you can compare previous year’s data. Moreover, you can also analyze monthly trends to understand the current scenario. The holiday season brings with it massive sale volumes, that is, a great chance to sell your inventory in no time. Hence, as a retailer, you have to be on your toes and try to leverage the holiday to the best of your abilities. Having said that, it is very tough to keep track of your inventory when the items are being sold at a progressive rate. To replenish the stock before the items go out of stock, you should have real-time status of the inventory. You can also keep track of the best-selling products and keep extra stock for them. Moreover, the owner with multiple stores should know the status of the inventory in each store. With the help of POS cloud system, you can counter these issues. The POS software keeps track of the inventory and notifies if the item is about to go out of stock. Hosting POS software on the cloud enables data centralization which empowers the owner to access the real-time inventory status of all the stocks simultaneously. The most frustrating aspect of going to a retail store is standing in long queues awaiting your turn. As the number of customers increases in the holiday season, the queues grow longer. It is an inconvenience both for the customers as well as the retailers not being able to process the order swiftly. The top POS software in the market like QuickBooks POS offers you with multiple modes of payments like credit cards, debit cards, cash, etc. In addition to this, when you host your POS software on the cloud, you can access it from anywhere with the help of portable devices such as smartphones, laptops, and tablets. Hence, instead of making the customers wait in line, you can bring the POS software to them for faster checkout. 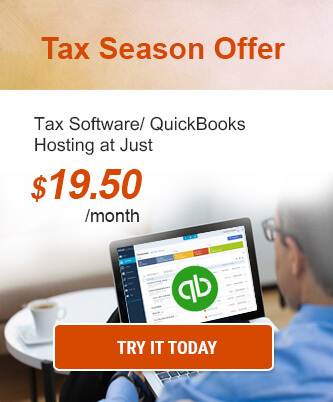 The retailers cannot afford to lose access to the POS software in the holiday season. With the customers queuing up for checkout, any glitch in the POS system can prove hazardous. The customers feeling discontented can leave without purchasing anything. Hosting POS on the cloud can ensure total availability of the software as the cloud providers offer hardware-independent solutions and dedicated support. A Lot is up for Grabs This Holiday Season! Make full use of the 2018 holiday season. As a retailer, you can make the majority of your sale in a couple of months if you get your process streamlined and implement an effective marketing strategy. It is recommended to have the best tools at your disposal. And what better tool to optimize your sales than an efficient POS system. Choose the best POS software available in the market and host it on the cloud for a flawless checkout process leading to customer satisfaction. Still confused about the benefits of a POS system? Do write to us in the comments section. Good read! Hosting the POS system was something that never struck me. I did not know about the many useful advantages of the hosted version of POS over the desktop version. I own a couple of retail stores & we always struggled with the POS during the holiday season. I hope after adopting the hosted version of POS, checking out at my retail stores will become easier.